It is crunch time this week. After work this week I got on my grubby cloths and headed for the boat yard. Monday I got the top sided rubbed out and a first coat of wax on before it started to rain. 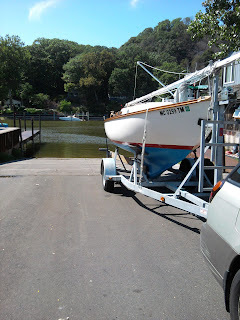 My next chance to return to the boat yard was Thursday. I was able to wax the hull and added two more layers of wax to the cabin top. It's super shiny now. We had company come in Friday night so I woke up early early Saturday and snuck out. Saturday morning I painted the bottom, it took me 2 hours from leaving my house to returning. It was like I was never gone as far as the company was concerned. Out and back before anyone had breakfast. I use Pettit Ultima eco. 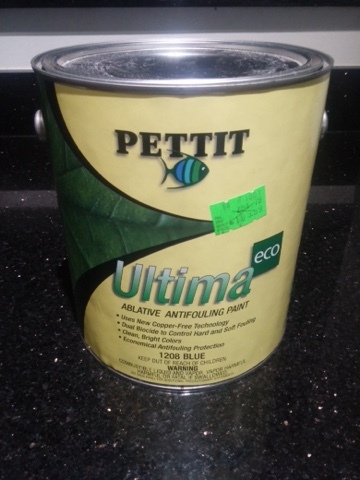 This is a copper free paint, so it's not as bad for the amphibians and wild life and does a nice job. I also really like the bright blue color. The gallon is a bit pricey but I will get 3-4 years out of a gallon. It took about a quart this year to do the whole bottom. I'm quickly running out of time. My launch window is nearing. May 1,----? But I want to be ready on the 1st. 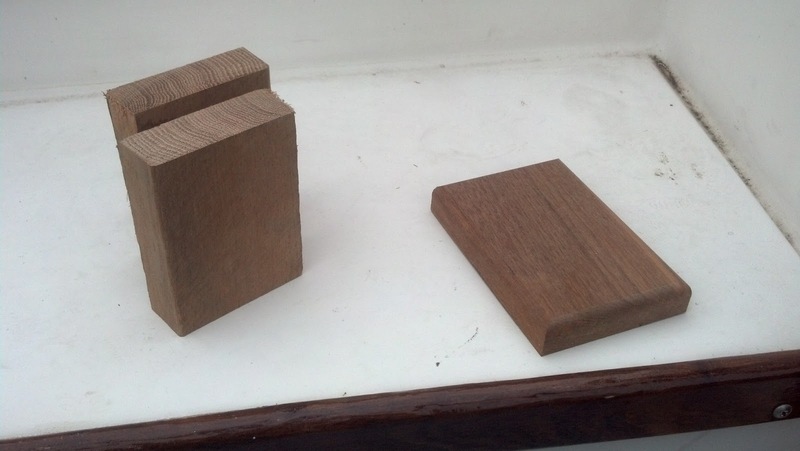 Bad weather, home projects family and work commitments are taking a toll on boat prep. Today I got down and gave the cabin top and deck a good scrubbing to get the winter grime off. Hopefully later this week I'll get down after work and get it buffed out and shinned up. The plan is to get the bottom paint on this weekend. Then will be launch ready. A Kid's perspective of the boat yard. Give a Kid a Camera. Here is what they come back with. Photos by Myles: A Kid's perspective of the boat yard. Today was a big day down at the boat. Finally the sun is out and it is warming up. Myles helped by pulling all the dryer sheets out of the cabin. Wow Gain Apple Mango Tango dryer sheets have a strong odor. Will be leaving the hatch open for a while to air it out in there. While he was in the cabin I started sorting out rigging and reattached the spreaders. I remove these during the winter so they don't get bent. In the process I stabbed myself pretty good with a cotter pin so I even had to find the first aid kit. Which led to a little organizing in the cabin. While there I figured may as well look at the flares. Time to replace the handhelds. Myles had a good time testing the air horn. 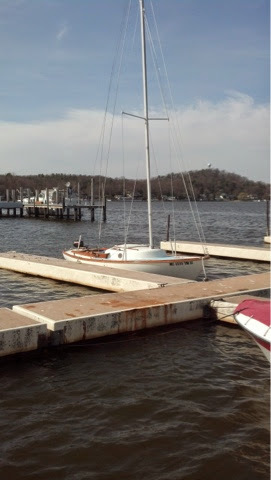 Next it was time to put the mast up and tune it in. Then I got photo Bombed. Finally the New Genoa got fitted. Time for the cover to come off. Today we pulled the tarps, hopefully we are done with this snow stuff. Myles came down and helped. 6 year olds are cool. He helped untie lines and load the support structures back into the car. He even pulled the little tarp off the bow. I was able to get in and open up the cabin. I stored the cushions and sail aboard this winter. I've never done this before but we were in the process of moving. Everything was dry and in good shape and smelled like dryer sheets, which I had thrown down all over the inside of the boat to ward off animals. Our total work time was about and hour before kiddo got too cold and we headed home for some grilled cheese and peep soup. The boat looks good overall, a bit dusty and grimy but nothing a little soap and water followed up with by some wax won't fix. Spring Where Did You Go?